The afternoon of Braddock’s defeat John Smith waited anxiously for word of the battle. He was sure that this would be the day of his salvation; that Braddock’s army would send the warriors fleeing in retreat and Contrecoeur would surrender the fort. While resting in his quarters he heard a great commotion inside the fort. He rose and quickly hobbled out to receive what he thought would be good news. It was not. He feared so when he observed that the excitement being exhibited by those few returning from the battlefield were exultations of joy. Although he could not understand French he did understand Dutch which one of the soldiers spoke. Hesitatingly Smith asked, “What was the news?” The soldier informed him that a runner had just arrived and told them that Braddock was certain to be defeated. He said that the warriors and French had taken to the trees and gullies, surrounded him and kept up a constant barrage of fire upon them. He said he saw the British falling in heaps and if they didn’t retreat back across the river there would not be one left alive by sundown. For James Smith this was not good news! A little later he heard the scalp haloos shouted by a number of warriors and saw them come in carrying many scalps, grenadier caps, canteens, small arms and other items issued to British regulars. Some time after that he saw a company of near 100 warriors and a few French arrive at the fort. Almost all had a number of scalps each. Then the main body arrived with a great number of wagon-horses, captured weapons and other loot. They brought the news that Braddock was defeated. All the warriors and French kept up a constant firing of small arms while the big guns of the fort continuously thundered in victory celebrations. Intermingled in the din were shouts of hundreds of victory whoops. About sundown Smith saw a small company of warriors coming with about a dozen English prisoners. All were stripped naked and had their hands tied behind their backs. He watched from the wall of the fort as the prisoners were taken to the west bank of the Allegheny directly across from the fort. There the prisoners were burned to death amid shouts of victory. When the first one burned began to wail in pain James Smith could watch no longer so he retired to his quarters sore and dejected. A few days later Smith was handed over by the French to their Caughnawaga allies. He wasn’t able to travel overland yet so they took him by canoe up the Allegheny to Venango where he recuperated for about three weeks. Then they moved him to a town on the west branch of the Muskingum River called Tullihas. It was inhabited by Caughnawagas, Delaware and Mohicans. The Caughnawaga were Christian Iroquois from the Montreal area who had left there to live in Ohio and return to their old ways. One of the Caughnawaga men began to give him the dress of a native. He began by plucking out all of the hair on his head except a small square on his crown. This he braided into three scalp locks and adorned them with feathers and silver broches. After this they pierced his ears and nose which they fixed with ear rings and nose jewels. He was ordered to strip down and put on a breach cloth and they painted his face and body in various colors. They finished his transformation by hanging around his neck a large wampum belt and they put on his wrists and right arm silver bracelets. Since Smith had only witnessed cruel deaths perpetrated on their English captors he was sure he was being all done up for execution. When he was ready an old chief led him by the hand out of the lodge and gave the call, coo-wigh, several times in rapid succession. All the town came out and this old chief speaking very loudly made a long harangue. He then handed Smith over to three young women who led him waist deep into the river. He thought this was the mode of execution they had choses for him; death by drowning. The three young women tried to wrestle him under the water, so Smith strained with all his might trying to stay above a watery grave. The whole town was on the bank witnessing the spectacle with gales of laughter. One of the young women spoke a little English so she repeated, “No hurt you”. Upon hearing these words he gave up the fight and let them submerge him completely. After this they led him to the council house where he was given the finest of new clothes including a ruffled shirt, leggings and moccasins. They put new feathers in his scalp locks and repainted his face in various colors. They gave him a tomahawk, pipe and medicine pouch containing tobacco and dried sumach leaves. The chiefs and leading men of the town then came in and all sat in silence in a circle; all of them smoking. They were silent for a long time, then one of the chiefs stood and made a long speech which was interpreted for him by one who spoke English. The old chief called him his son and said that he was now bone of their bones and flesh of their flesh. That the ceremony that was done that day washed all of the white blood from his body and he was now adopted into the Caughnawaga Nation, into a mighty family and into the lodge of a great man. Again he called him son and said that he had nothing to fear because they were now under the same obligation to love and support him as they were to love and support one another. Smith was now to consider himself as one of them. Braddock’s army began the long and arduous journey from Fort Cumberland to Fort Duquesne. Three hundred axemen toiled in front of the column widening the narrow trail Washington’s men had cut the year before. It was hard slogging through the deep forests and over the main Alleghany mountain range. Two more mountains had to be crossed making the progress of the expedition not more than three miles a day. The vast amount of supplies being carried by 175 wagons plus pack horses, not to mention dragging heavy cannon and light artillery, made the column both cumbersome and ponderous. At time it stretch out a distance of four miles. Dysentery set in. There were also many desertions along the way so that two months after leaving Fort Cumberland the British expeditionary force had been reduced to 1,260 regulars and 200 militia. The whole force was under Braddock’s command. The young colonial officer, George Washington temporarily resigned his commission of Lieutenant Colonel and was assigned to Braddock’s staff as aide-de-camp. The 44th and 48th regiments were under Colonel Halket and the militia under Colonel Burton. Colonel Dunbar remained at the rear with the sick, weakened horses and much of the baggage to make their way as best as they could. Braddock didn’t know it but his ponderous train was being shadowed. Langlade had his scouts observe their progress from the denseness of the Pennsylvanian forest and report their intelligence back to Fort Duquesne. Meanwhile, young James Smith was visited by the Delaware warrior who spoke a little English. He reassured him that although he must live with his captors he would be treated well by them. Smith then asked if there was any news of Braddock. He was hoping for a British victory and rescue. The warrior told him that Braddock was advancing very close and that Langlade’s warriors would surround him, take to the trees and, he said in his broken English, “shoot um down all one pigeon”. A few days later he heard quite a commotion coming from inside the Fort. He hobbled out onto the wall of the fort with the aid of his walking staff. There he observed the warriors all buzzing around the ammunition magazine helping themselves to powder, shot and flint. He then saw the war chiefs lead their warriors off in a file along with a few French regulars and some Canadians. He estimated them to be about 400 men and wondered why they would go out to meet Braddock with such a small force. In reality their were 637 warriors, 72 regulars and 146 Canadians. Braddock’s force was eight miles from Fort Duquesne and about to cross the Monongahela the second time. This was the place the French had planned their ambush but they were late getting there. Four miles from the fort the war chiefs led their warriors into the woods leaving the French on the road. They moved through the dense underbrush with deft stealth stretching themselves out behind trees, bushes and in gullies for 2,000 yards along both sides of the road. They had chosen a place for ambush more to their liking. On the north side of the road there was a large hill overlooking the trail. It soon became populated with as many First Nation warriors as there were trees or so it seemed. They settled in and waited for their prey to enter the trap. The expedition reached the ford of the river about one o’clock in the afternoon. Lieutenant Colonel Gage had gone ahead of the main party with an advance patrol, found no sign of the enemy so he secured the far side. The main body followed each section splashing their way across the shallows. The crossing was a spectacle to behold. First came the pipers, drummers and banners announcing the advance with military music. They were followed by mounted officers, then light cavalry, the naval attachment with cannon and howitzers, the British regulars or red coats followed by the Colonial Militia dress in blue. Down the narrow road they proceeded followed by the supply wagons, more heavy armament, a train of pack horses and the droves of cattle. When they were all across the river they halted to rest. Braddock wondered why the French had not protected the ford, a perfect place for ambush to his way of thinking. After resting and refreshments the column began to move again along the restricted trail confined by dense woods, small hills and bush covered gulleys. They moved further into the trap not realizing they were passing hundreds of muskets all trained on the procession. When they passed alongside the large hill on the north side they had become completely surrounded. Suddenly they observed a man ahead waving his arms. He was dress in native garb but had a French officer’s gorget on his neck. It was Langlade. The gorget was a sign of his rank of Ensign and his arm waving was the signal to open fire! The warriors gave the war-whoop and opened with the first volley. Gage turned the advance guard back toward the main body. The first regiment of red coats charged forward cheering and shouting, “God save the king!” More volleys followed in rapid succession. The warriors along the side of the large hill were firing down on their red and white targets from behind a multitude of trees. Beaujeau arrived on the road leading his 72 marines followed by 146 Canadians. The Canadians were mere boys about the age of 15. They were cadets in the king’s military and most had not had even a taste of battle. The British regulars in the advance opened fire on the French. Many fell on this British volley and most of the Canadians panicked and fled. The rest took to the trees for cover. For two hours the bullets rained down on Braddock. He charged back and forth on his horse, waving his sword and shouting words of encouragement. Washington did the same, but the defeat was turning into a disaster. The advance party fell back into the lead regiment and the rear guard pressed forward crashing into it. Bodies were beginning to stack up. There was no order only chaos. The red coats formed circles and returned fire blindly in the forest. Their enemy was invisible showing only flashes of gunfire and puffs of smoke. Even the grape of the cannon fire only damaged the trees. The militia was more savvy. They had experience at this forest warfare. They broke and disappeared into the woods to take on the warriors in guerrilla style fighting. But the regulars mistook the militia’s powder flashes as the enemy’s and open fire on the colonials killing many. The remainder was forced to return to the main body. Hysteria became the order of the day. Braddock was shot. Most of his officers were killed or lay wounded on the road. His men carried him to a wagon where he lay giving the order to retreat. The retreat was as disorderly as the battle. Panic stricken regulars abandoned everything, many even throwing their rifles aside racing pell-mell down the road. This sight frightened the wagon and pack-horse drivers so that many abandoned their charges and joined the soldiers in full flight. One young teamster quickly unhitched his horses, mounted one and fled as fast as his stead could carry him to the safety of his father’s farm. This young man would later gain fame as the marksman and “Indian fighter” from Kentucky Daniel Boone. The British, what was left of them, regrouped on the other side of the Monongahela. Braddock was too seriously wounded to lead. Most of his officers were dead or captured. Dunbar fled to Philadelphia leaving Washington in charge of the retreat. This would be the second time in as many years he lead a defeated force on the long journey home. Braddock was heard to say from his wagon,”who would have thought it?” He drifted in and out of consciousness. During one lucid moment he muttered, “next time we shall know better how to deal with them another time”. But for General Edward Braddock there would not be “another time”. He died during the retreat and was buried in the middle of the road in an unmarked grave near present day Chalk Hill, Pennsylvania. The doleful procession trampled over his final resting place obliterating any sign of it in order to prevent him being dug up and having atrocities performed on the body. Never was there such a lop-sided victory. The French regulars took the heaviest toll on their side. Their marines had seven officers and all but four of their regulars killed or wounded. Of 637 warriors only 23 were killed or wounded. On the other hand the British losses were staggering. Of the 1,460 officers and men only 483 were left fit for duty and many of them were wounded but not seriously. Braddock had 89 officers and 63 of them were either killed or seriously wounded. The Colonial Militia had only 30 men left alive. They lost all they had to Langlade and his war chiefs. Wagons and supplies, horses and cattle, muskets and heavy armament, ammunition and even the coin money that was to be used to pay the king’s regulars. All this booty now served as the warrior’s pay. The victorious warriors did not pursue the retreating British. There was too much loot to collect. News of the disaster reached the colonies and panicked the general populace. Dunbar’s escape to Philadelphia left the cononies’ only protection, Fort Cumberland, empty. The army was devastated. There was no protection and Braddock’s widened road could only serve to lead a French army, or even worse, their First Nation allies into the colonies unchallenged. 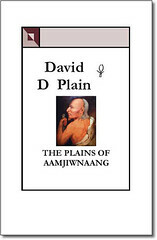 You are currently browsing the Books by David D Plain Blog blog archives for November, 2010.